Hours: Monday-Friday 8:00 a.m.- 3:30 p.m.
Our Library Wants To See YOU! The Media Center sponsors programs and events throughout the school year to encourage students to read, to assist teachers in the planning and implementing of reading plans and lessons, and to support curricular instruction. 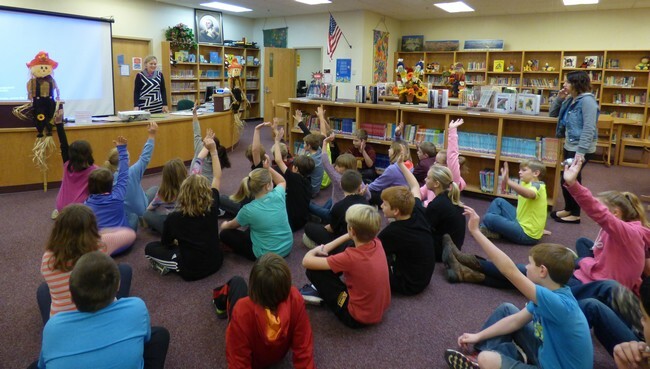 Children's book author, Deb Hoven from Alexandria, visited Ashby Elementary School. 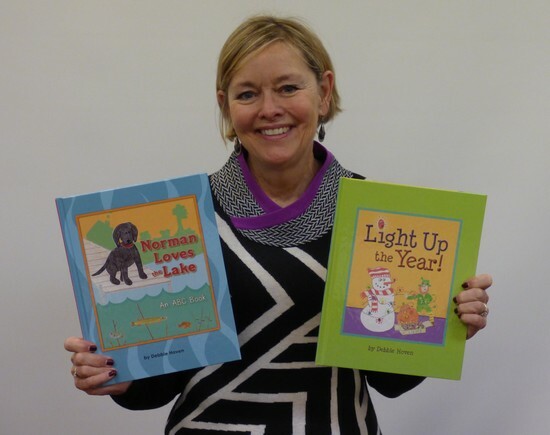 She has published two books: "Light Up the Year" and "Norman Loves the Lake, an ABC Book". 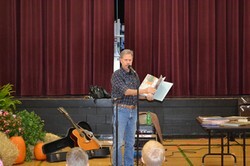 Douglas Wood is an American children's author, author, singer, song writer, speaker, and musician. One of Wood's children's books, "Old Turtle and the Broken Truth", won one of the 2004 Book Sense Book of the Year Awards. Scholastic Book Fair-The Media Center sponsors one Scholastic Book Fair each year. The Book Fair will be held from Monday, October 23, 2017 through Friday, October 27, 2017. Monday-Friday Book Fair hours are from 8:00 a.m. to 4:30 p.m. daily. ​The Book Fair is open to the public. The Accelerated Reading Program-Students select and read books on appropriate levels to earn points by taking and passing comprehension tests. National Schools Poetry Project-This project is designed to share our youth’s talents with others, to supply a national audience for student writing, and provide a publishing opportunity for young poets. Our school wants kids excited about writing as well as reading! Each year through the Ashby School Library, poems written by seventh and eighth grade students are submitted for publication in the Young American Poetry Digest. Young American Poetry Digests from 2009, 2010, 2011,and 2012 are available for checkout. ​I Love to Read -Each February the staff and students celebrate by picking a classroom theme to be focused on for the month. Students set high AR goals to be reached! 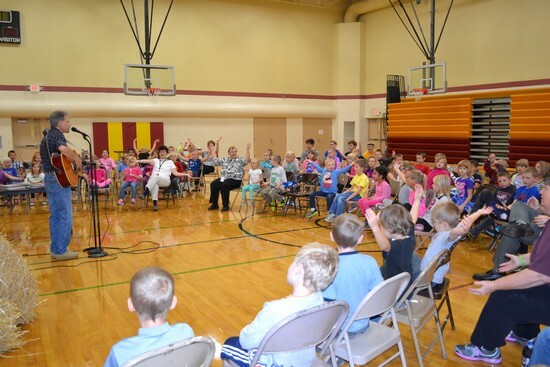 After reaching their goals, K-6 students are rewarded for their efforts. The staff joins in by encouraging students to read as well.